Today is Veterans Day, the anniversary of the signing of the armistice, which brought World War I to an end in 1918. We are dedicating this show to all of our Veterans for their gracious service to us all. Not only will we be reflecting on the incredible strength of our active duty military members and veterans, but we will also be discussing the challenges they face and what we can do to help. My first guest, Devorah Gottesman, has a robust music career that has spanned the globe, entertaining hundreds of thousands of music fans. 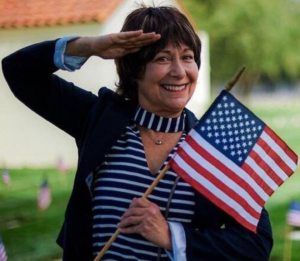 She shares her story of the true American spirit of kindness, inclusiveness, and ingenuity that opens the heart to celebrate freedom and joy with the sole purpose of unification. Devorah also shares the song that she wrote and sang coast to coast during one of her bicycling fundraising events for non-profits serving Veterans. Rod Wittmier, U.S. Army Veteran and Founder of the National Alliance to End Veteran Suicide, was shocked when he first learned of the statistics on Veteran suicide. Today he joins us to discuss the stigma around suicide and mental health, and how these issues are being addressed a lot more today. Rob shares how his non-profit helps to create a community for Veterans so that they’re never alone, regardless of their military branch or era of service. Colonel Chris Richie, who is a career Aviation Command and Control (C2) officer, also joins us today to help wrap up this show celebrating our Veterans. He shares some positive insight into what’s going on with our military today and discusses the incredible impact of providing those that are struggling with the power of hope. Devorah Gottesman, also penned, The Firecracker, has a robust music career that has spanned the globe, entertaining hundreds of thousands of music fans. Devorah has appeared on NBC’s Wake Up with Al Roker, received the Seattle Artist of the Year Award, and loves singing for the USO. Most recently she delivered a powerful performance at the Los Angeles National Cemetery this past Memorial Day. Combining a love for bicycling, music, and connecting with Veterans and their families, Devorah embarked on a three-month bicycle tour called Pennies4Patriots. 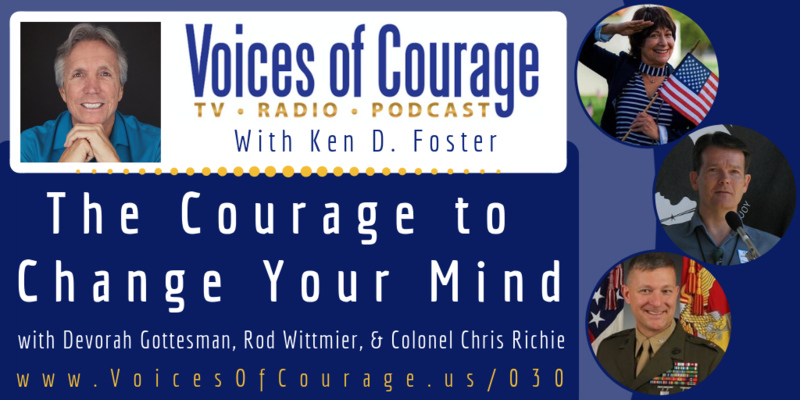 In September 2008, Rod Wittmier learned of the first VA statistic on Veteran Suicide (18/day). Rod and his wife Linda were in a multi-month seminar at Landmark called the “Self-expression and Leadership Program,” which required them to create a community-based event. After lots of research Rod speculated that our Seasoned Veterans and our Recent Veterans needed to form into a community, regardless of their military branch or era of service. In January of 2009, they delivered their event in Buckley WA with the intention of creating this new community, it was given the name Vets Meet Vets. Around 100 Veterans from Pierce & King county WA were seated together in C shaped circles, so they could share. It also brought together 5 surrounding city mayors to speak with their Veterans and many county, state and federal resource providers to complete the formula. Rod loves the acronym T.E.A.M, which is ‘Together Everyone Achieves Miracles’. So, he gathered volunteers and leaders to start collaborating and establishing relationships with our local VA and Veteran Service Organizations. In 2010 this TEAM invented several long-standing events; VA Picnic, Veteran Appreciation, the winter Blankets For Hope, & VA Holiday Social for our homeless Veterans. 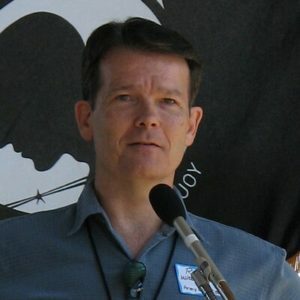 In December of 2011, Rod accepted the offer to fly under the wing of a larger, more connected non-profit to rebuild his idea from the ground up. It was clear at that time that a name that matched the mission was needed, and the National Alliance To End Veteran Suicide began using NA2EVS.org as its website. NA2EVS flew under the wing of the Veterans Family Fund of America until the end of 2013 and formed as an independent 501(C)3 non-profit in 2014. Colonel (Col) Richie is a career Aviation Command and Control (C2) officer commissioned in 1992 through the Auburn University Reserve Officer Training Corps scholarship program. He is a resident graduate of three formal Military schools earning two Master’s Degrees, an MBA (with honors) from Regis University, and is a published author in multiple professional military journals. 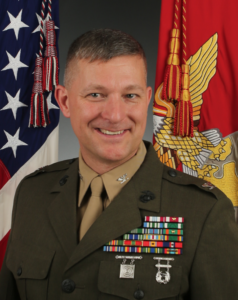 Col Richie served as the Commanding Officer of a Company, a Squadron, a Group, and a Marine Air Ground Task Force (Special Purpose) with responsibility for 135 to 2,500 Marines and Sailors. Colonel Richie has served in 18 countries including Europe, East Asia, Central America, South America, and the Middle East, and participated in Operations ALLIED FORCE, ENDURING FREEDOM, IRAQI FREEDOM, and CONTINUING PROMISE.